When you wear makeup, the most important product you’re applying to your face is foundation. If it’s not applied correctly, it can ruin your entire look. Unfortunately, there are several common mistakes most of us make when it comes to foundation. 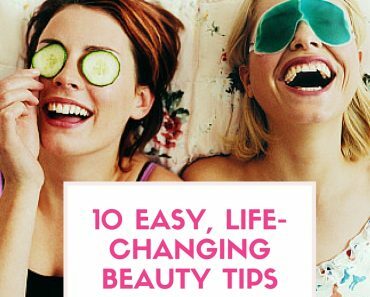 The good thing is, we’ve got the lowdown on how to nix them, so you’re always putting a natural, but flawless face forward. 1. You’re using a powder foundation. Those Bare Minerals infomercials might have you convinced to try the stuff out, and yes, mineral makeup is good for you skin since it’s non-comedogenic, naturally anti-bacterial, and comes with built-in sunscreen. But, the problem is the finish. Powders are drying, and tend to get cakey. Plus, they can even accentuate wrinkles because they settle into the creases! Some critics even feel that Bare Minerals can exaggerate the look of pores for the same reason. If you want to use a mineral makeup, go with a liquid version like the Living Nature brand. 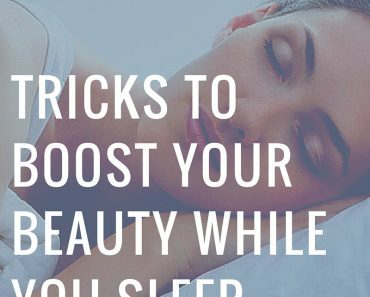 You’ll be using a natural product and achieve natural looking results. 2. To find your shade, you tested your foundation on your jaw. Your jawline is just one place you should be testing your foundation shade. Covergirl makeup artist, Greg Wencel suggests testing your foundation in three spots: underneath the eyes, on/around the nose, and at the cheek/jawline. Do this all on one side of your face so you can compare with the no-makeup side. The perfect shade will basically disappear into your skin, but when in doubt, go slightly darker, not lighter. A slightly darker shade will cover flaws so much better, plus it will warm up your skin tone. 3. You’re not using primer underneath your foundation. Ladies, it’s almost 2016. It’s nearly unbelievable that some of you still don’t use primer. It’s literally a miracle worker. Nearly everyone looks better with primer; it helps your foundation glide on smoother and stay put longer, so it will be less likely to crease or slip n’ slide around your face. Plus, there are different formulas out there for all skin types, to hydrate, control shine, and even hide redness. Do a little research and pick some up asap. 4. You apply your foundation with your fingers or a sponge. I’m actually guilty of this one. I always use a sponge, which isn’t terrible, but they tend to waste a lot of product. Instead, you should try foundation brushes. They use far less product (money-saver! ), and are great at achieving a well-blended natural application. When choosing a foundation brush, go for synthetic hair, not animal and make sure you’re washing it regularly. 5. You’re applying foundation All. Over. Your. Face. It’s just not necessary. The purpose of foundation is not to cover up every square inch of your face, but to only be used on the areas where you most need it. Think: the redness around your nose/chin, the darkness underneath your eyes, the random rogue blemishes that you’ve been fighting by night but need to conceal by day. Blend everything really well in those areas, and if you’ve got the correct shade, it will look seamless. 6. You put your concealer on under, not over, your foundation. This one is bad, but surprisingly common. When you apply concealer under foundation, you’re basically wasting it since you’ll just blend it all away. So remember: foundation first, then concealer. And don’t even deal with concealer if you don’t really need it. 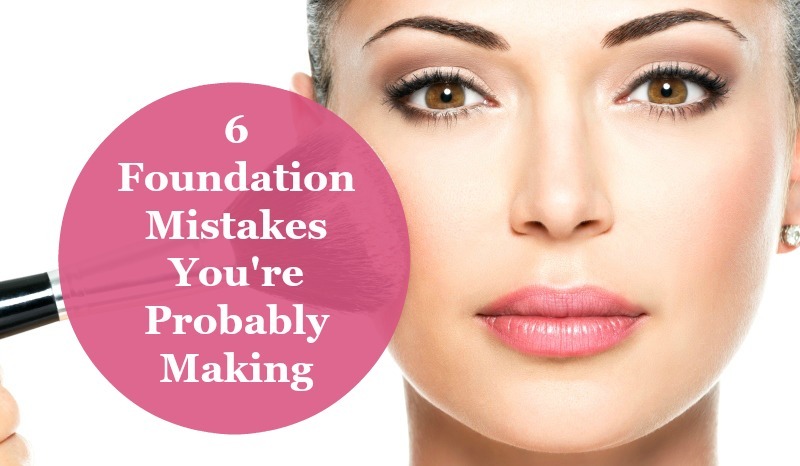 So there you have it; the six foundation mistakes most of us are making. So now, let’s discuss: Do you wear foundation on the regular? Are you guilty of some of these mistakes? Share your thoughts and any perfect foundation tips below! I am certainly bookmarking this page. But wait! Who uses powder foundation? That is just a big make up fail! First of all, using a sponge doesn’t waste product if you don’t use too much. It gives a skin-like appearance and is the best for achieving a natural look, that a brush cannot. I apply with a brush and blend with a sponge, so don’t try to make me feel like I’m making mistakes. Second of all, putting foundation all over your face is not a mistake. Many makeup artists do it, even though they have nothing to cover, and you would say they are making, dare I say, mistakes? It is not a mistake if it’s blended well. It only makes it look more color corrected. They are not mistakes, don’t make me feel that way.